Ski Holidays to Valmorel in France 2017 & 2018. Largely undiscovered by the hoards, Valmorel is a hidden gem. Nestled in the Tarentaise Valley in the Northern French Alps, it makes the most of its Alpine charm. This resort can be reached in 1.5 hours from Chambery airport or 2 hours from Geneva. It is set in a delightful, picturesque location and despite the fact that it is a specially created ski resort, it still manages to exude charm through the use of thoughtful architectural design. The resort was built in 1976 and benefited from lessons learnt from some of the horrors of earlier purpose built resorts. The buildings therefore, are chalet style rather than concrete jungle and are limited to a height of no more than 4 storeys built in a traditional style. Being a purpose built resort, it enjoys the benefits of accommodation in close proximity to the skiing, providing ‘ski-in ski-out’ facilities. Traffic is largely excluded from the resort with an ample sized car park serving the central cable car. The village centre is pedestrianised which adds to the welcoming character of the resort. The unique character of the resort is created through its hamlet style construction with clusters of buildings all at varying levels, but it is generally connected by footpaths, charming courtyards and squares. The resort itself is at 1400m, but accesses areas up to 2550m. Its system of lifts (around 40 in total) is adequate but could perhaps benefit from upgrading. Valmorel offers a great variety of skiing for all abilities ranging from pretty tree lined runs on gentle slopes for beginners, to challenging steep slopes for the more advanced. Snow boarders are accommodated too with a dedicated snow park featuring a half pipe and boarder cross. It is worth remembering though, that a number of areas are accessed via drag lifts which can be a little difficult for boarders. The ski area, which is part of La Grande Domain ski region, extends to over 160km of runs and is perhaps best suited to intermediates, for whom there are probably the biggest choice of runs. The variety and range of gentle slopes is also suitable for groups of mixed ability and for families. Direct access to the slopes is offered by the efficient lift system. There is even a special slower speed chairlift suitable for beginners so they can acquaint themselves with the transport used further up on the mountain. The choice of runs heading off in all directions, means that sun worshippers can chase the rays all day long. Unlike many resorts which suit intermediates, there are also challenging ski runs for the more advanced situated in a powder bowl at the top of the Col du Gollet. The resort also has links to Saint Francois Longchamp which dramatically extends the available skiing area. The season is slightly shorter than some areas (usually mid December before it gets going lasting until early to mid April) owing to its relatively low location, but this does open up the area for summer activities earlier than other resorts are able to. During its main season it tends to retain good snow cover with a good mix of both sunny and shaded areas. Snow canons are on hand to supplement any snow shortages. It is a great resort for families not only because of its peacefulness and its easy starter slopes, but also because of the child care facilities. The dedicated kindergarten and creche even has its own snow garden complete with lifts and a generous skiing area. For learners of all ages there are ski school facilities and a good range of nursery slopes and green runs. 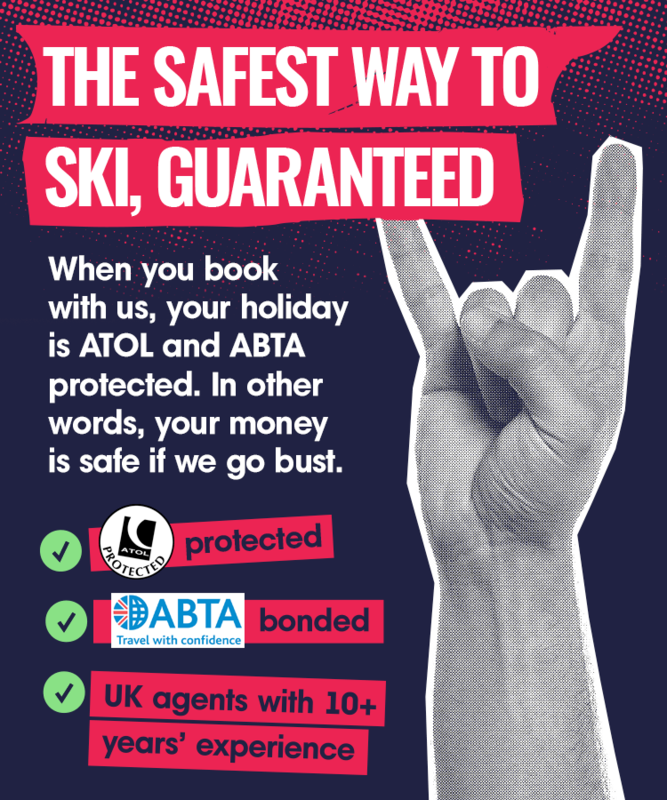 Tuition is available for both skiing and boarding, making it a good choice for first time boarders. Like the rest of the resort the central area is well planned with all the shops and services located together in the village style pedestrianised centre. As well as shops, there is a new spa area complete with gym, sauna and steam room. Night life is a little limited in this quiet resort but nevertheless there are a choice of bars and restaurants to choose from as well as a nightclub. Other snow based activities include guided snow shoeing tours, horse drawn sleigh rides and paragliding. The accommodation is primarily self-catering although there are some hotels. Shops and services are there to supply all the usual self-catering requirements, although they can be fairly limited to essentials at times – however this is supplemented by a weekly market. In all it is an excellent choice for families, first time skiers and those looking for a good value, charming but unchallenging ski area.